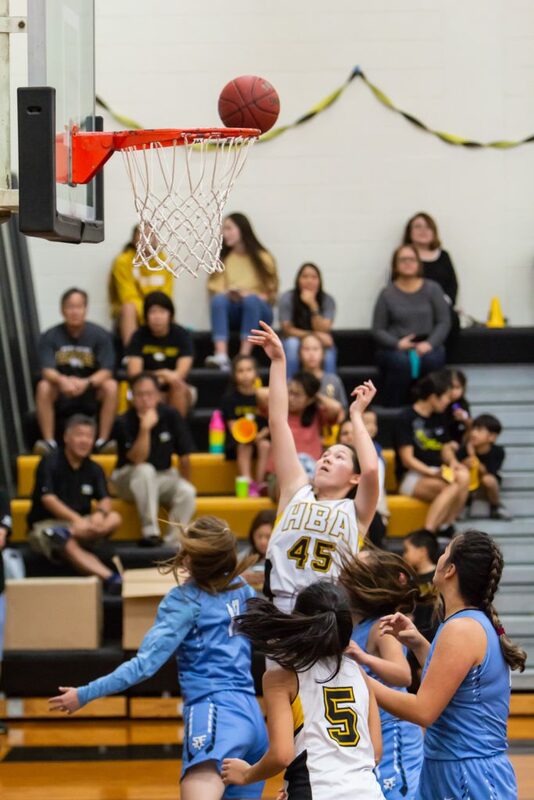 Number 15, junior Cydni Yoshida ('20) taking a shot at the hoop. 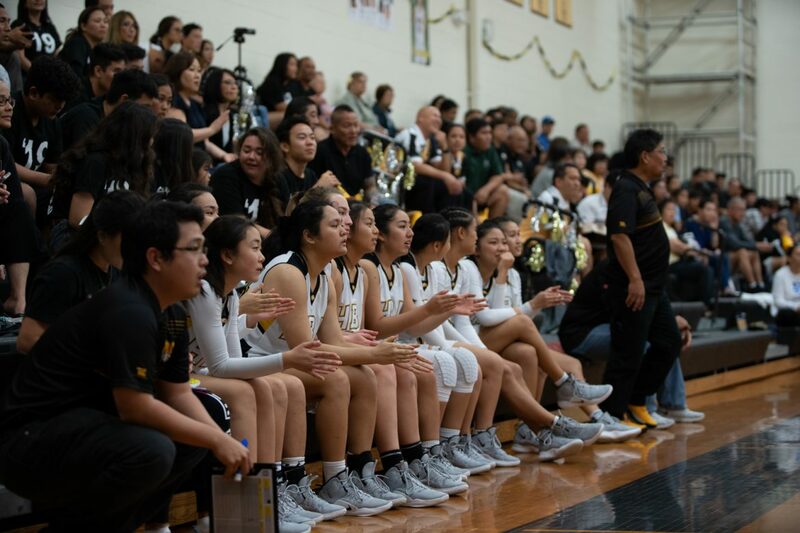 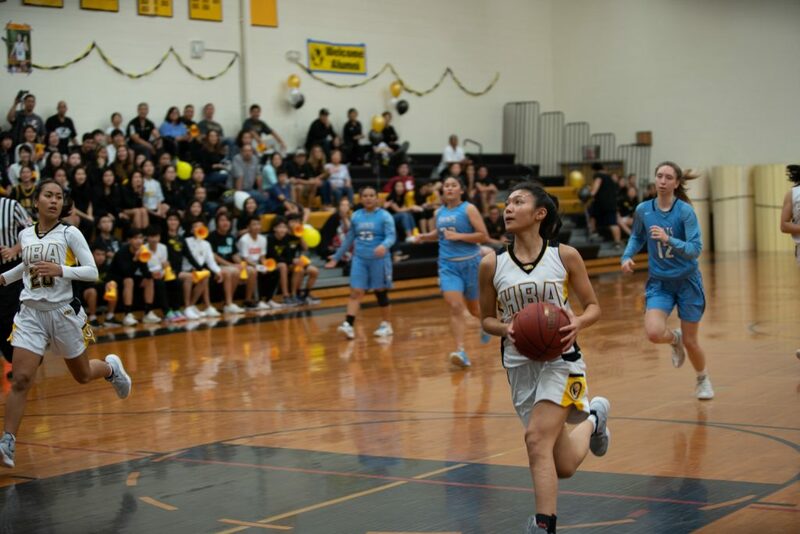 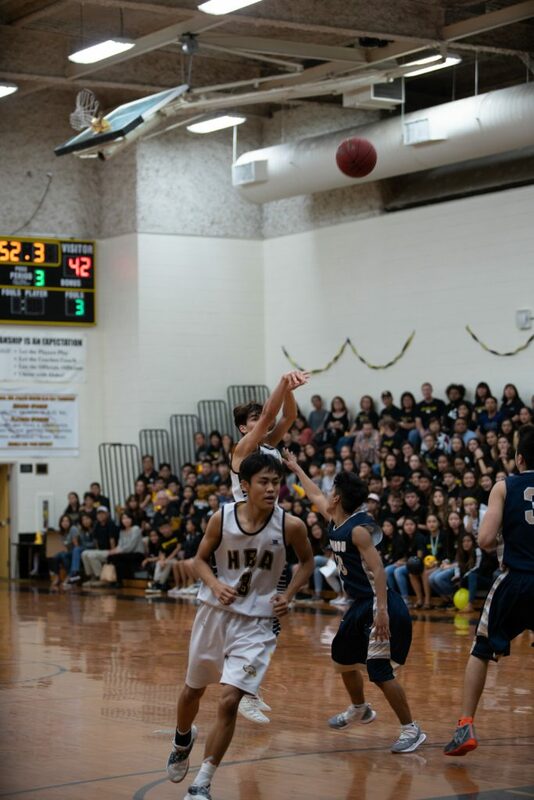 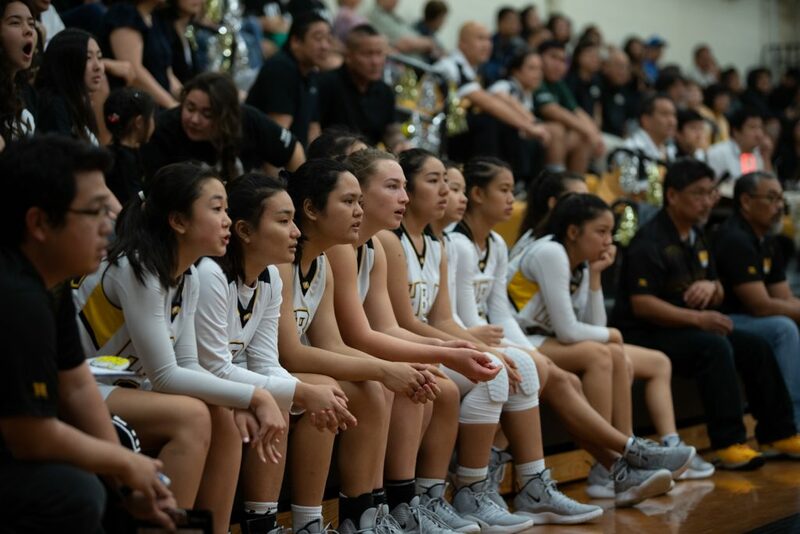 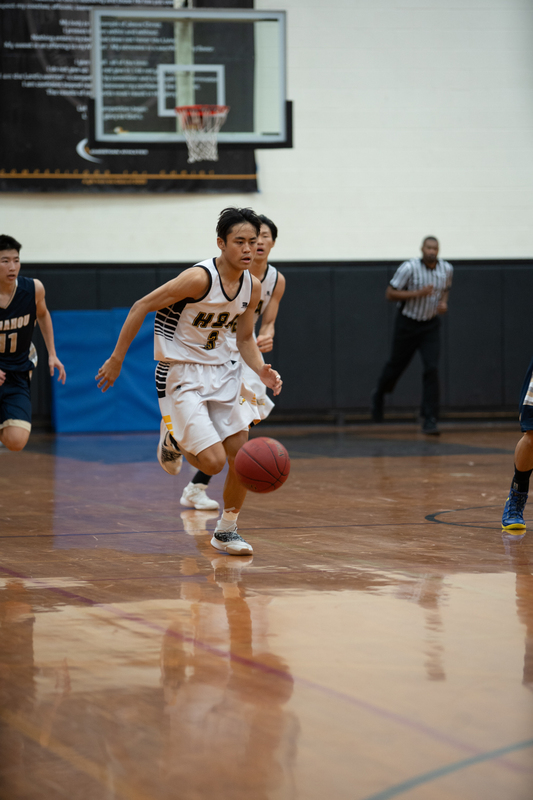 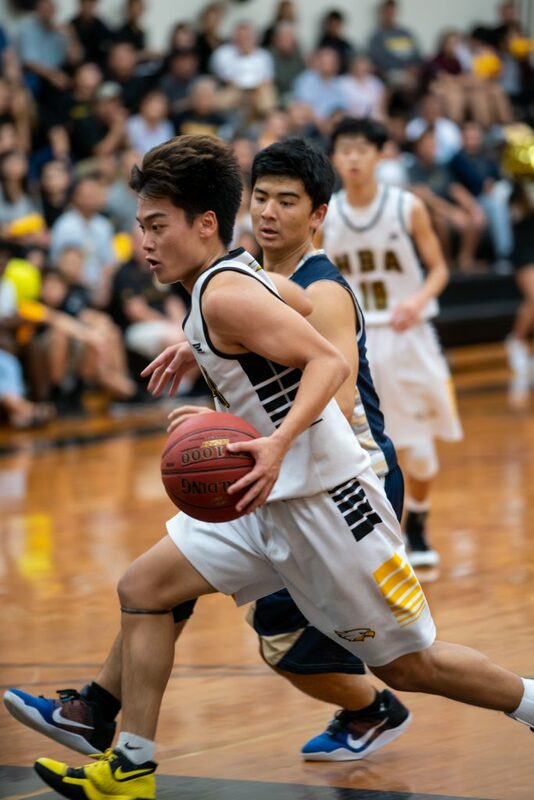 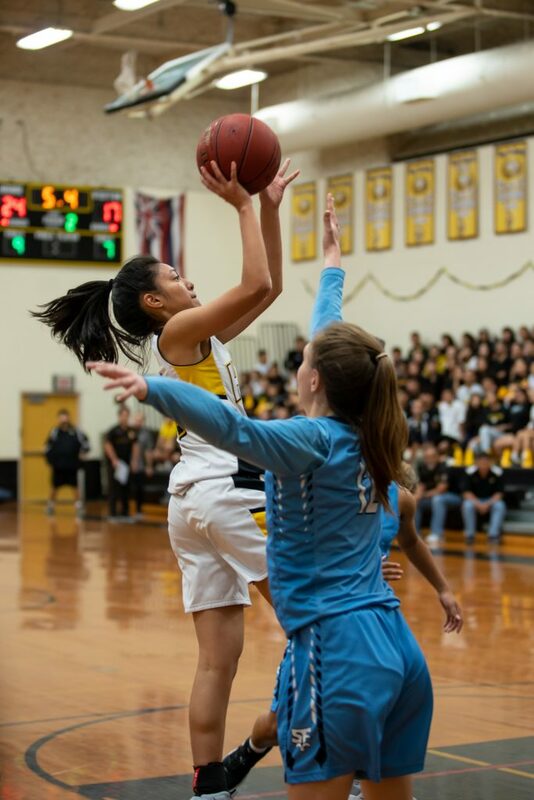 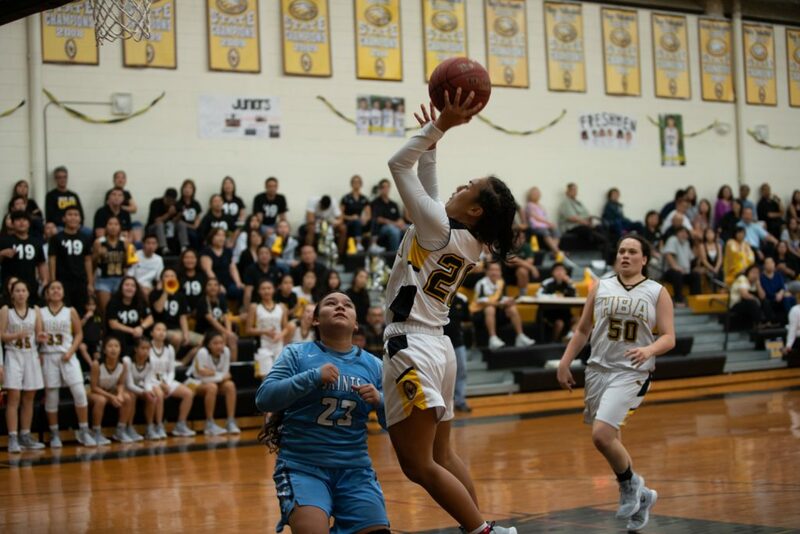 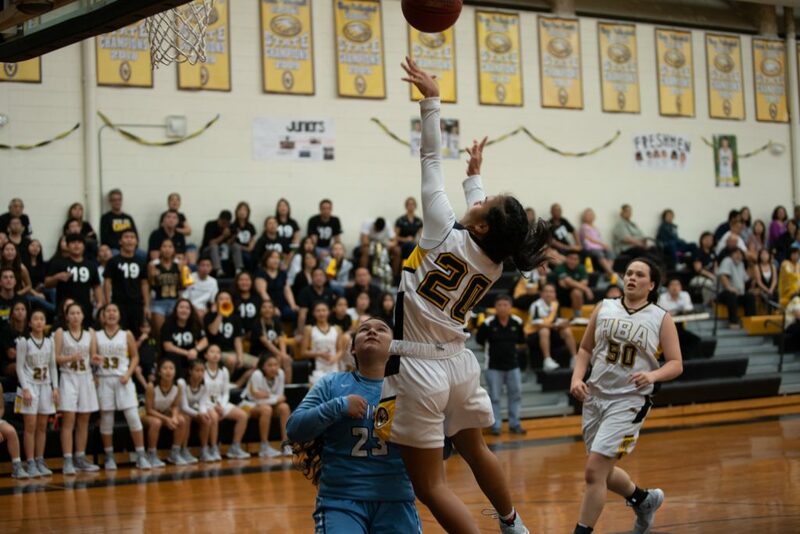 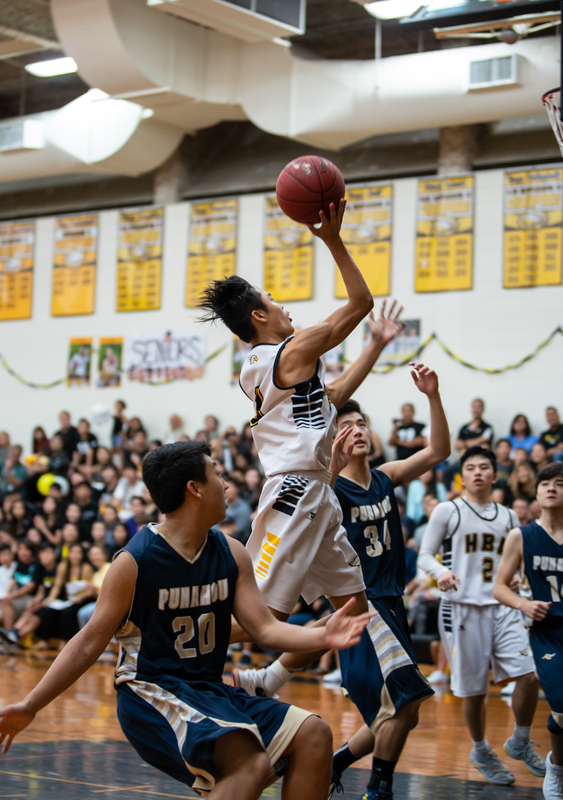 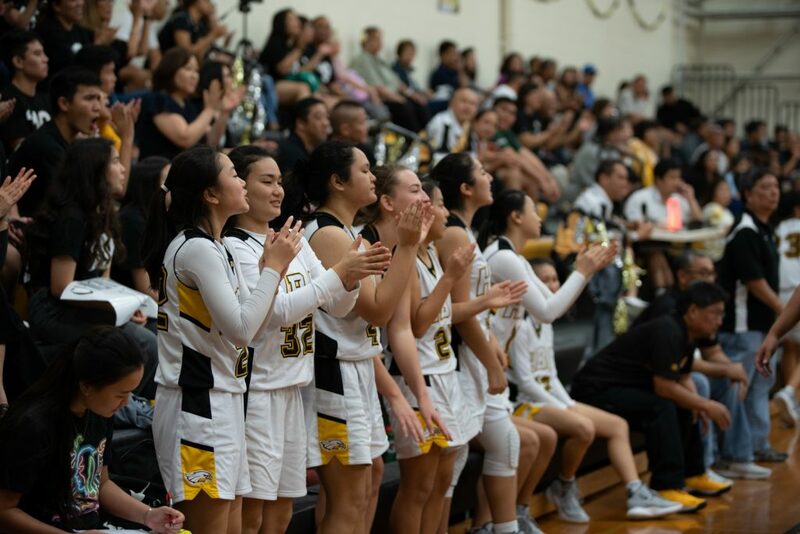 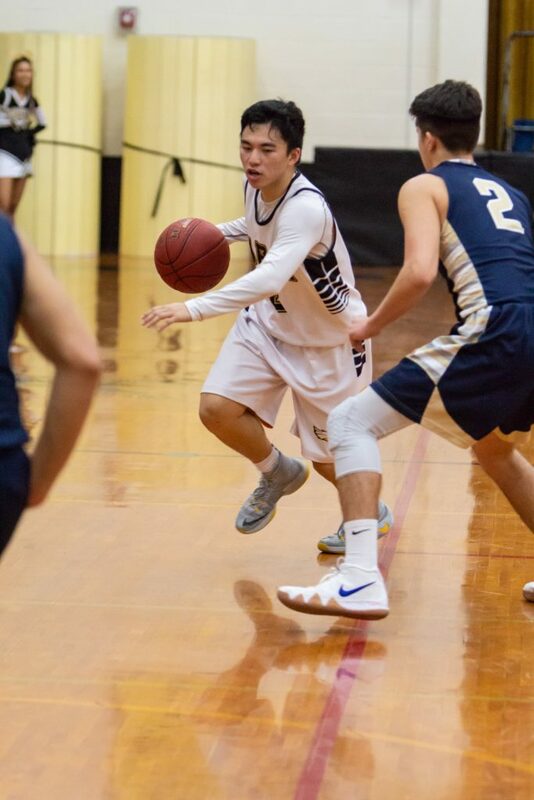 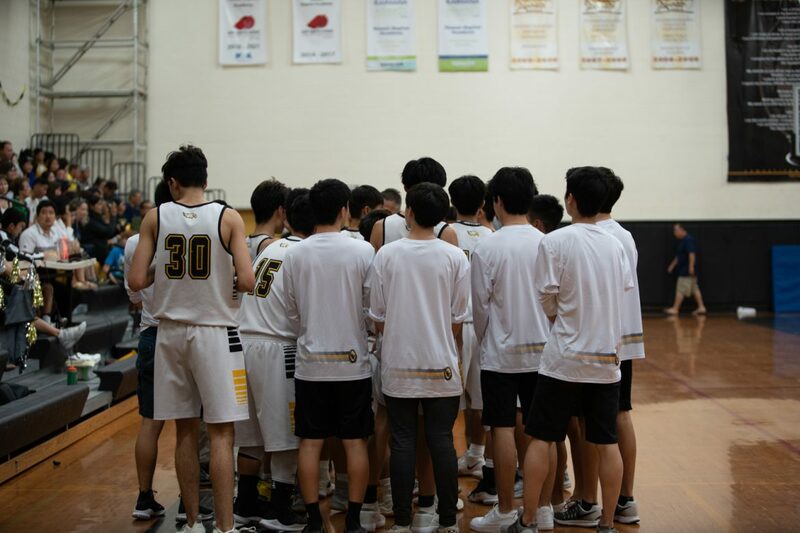 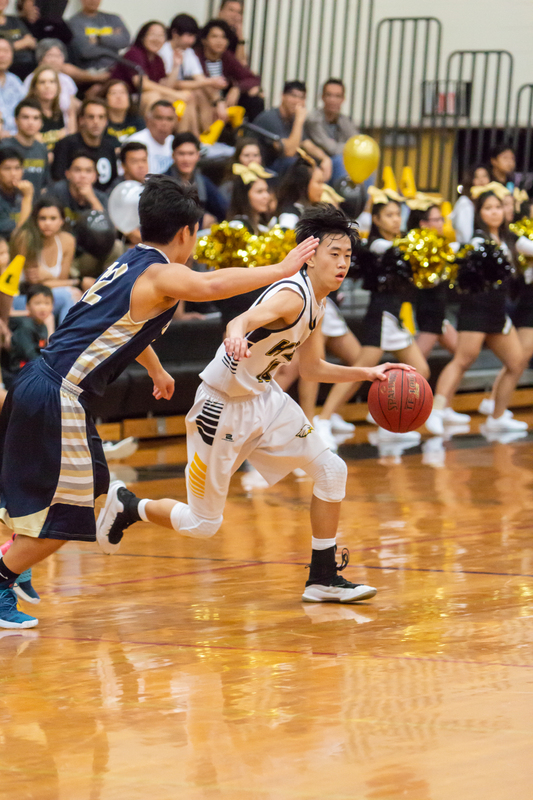 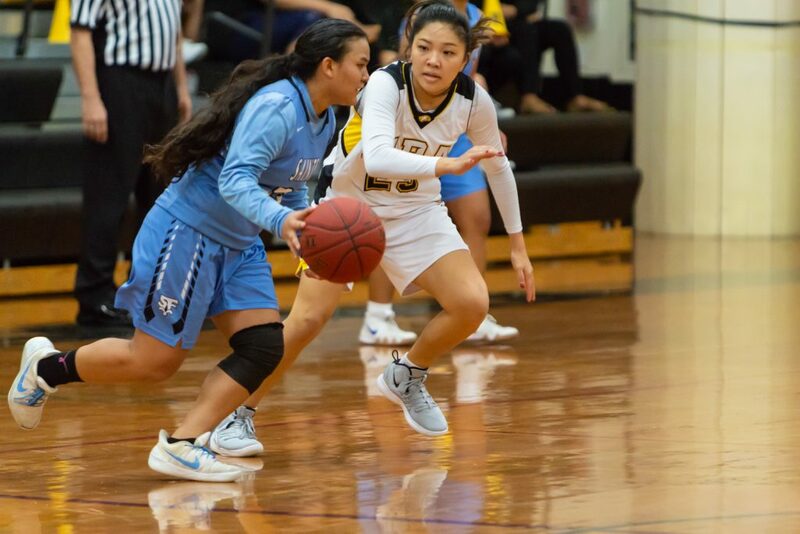 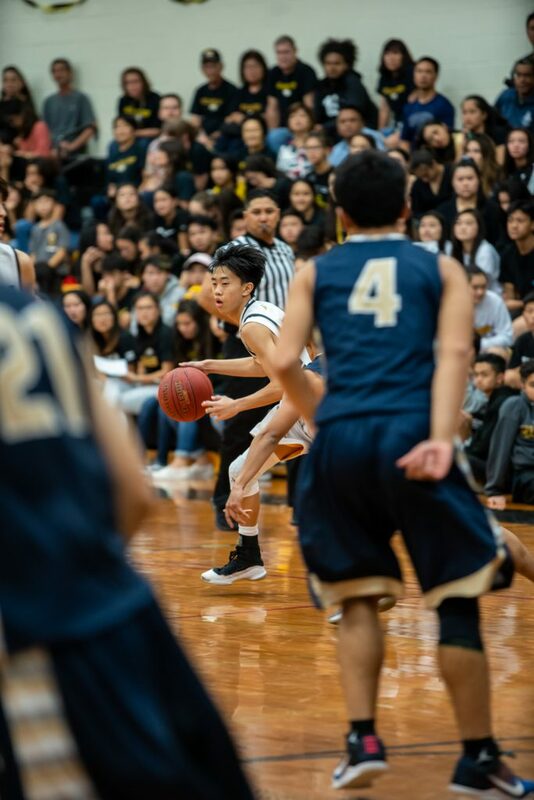 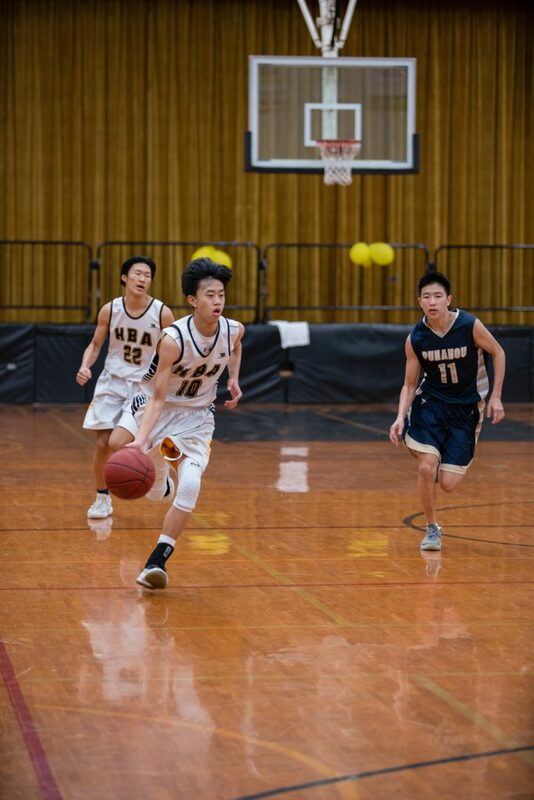 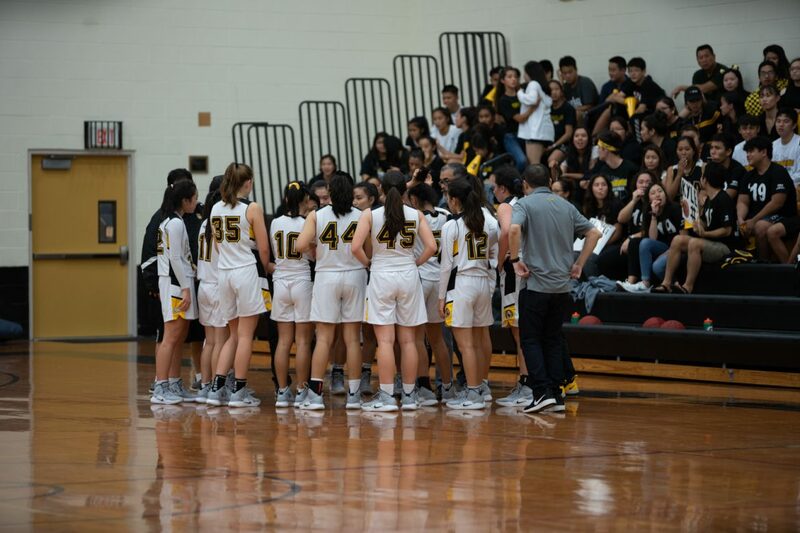 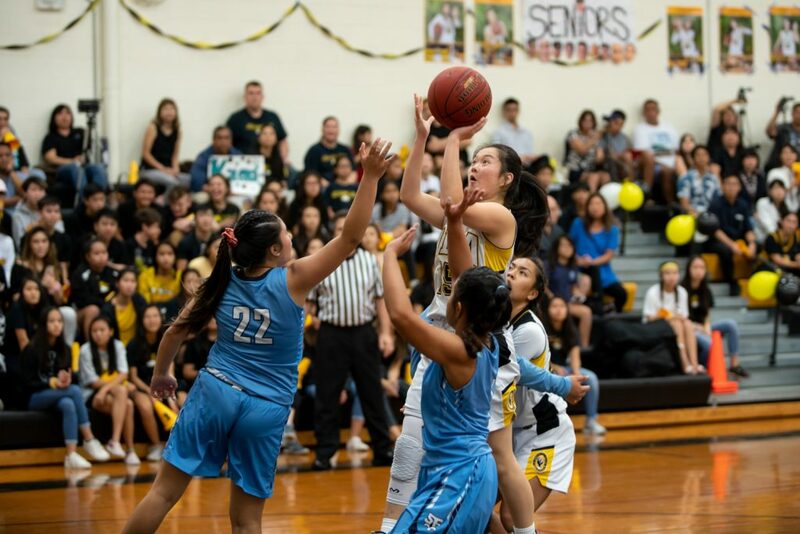 The night of Homecoming involved two victories and one loss: On the basketball court, the Lady Eagles won against Saint Francis; the seniors were named Spirit Week champions; and the boys basketball team lost to Punahou by a small margin. There was much anticipation heading into halftime of the boys game as students waited to hear the results of Spirit Week 2019. 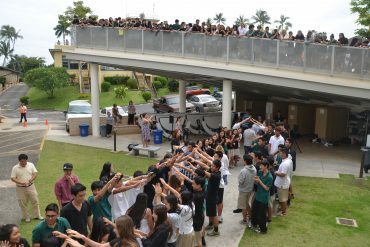 From first to last, the grade levels placed as seniors, juniors, sophomores, eighth grade, freshmen, and seventh grade. 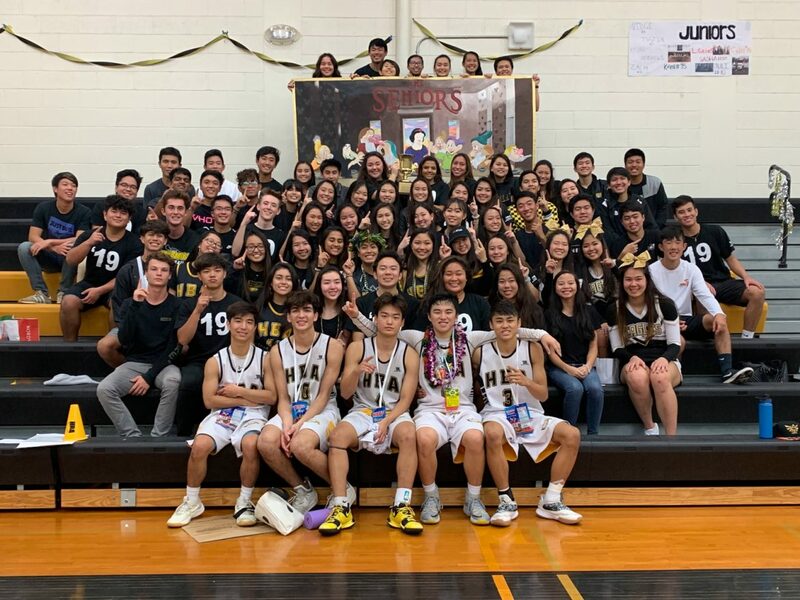 When receiving the Spirit Week Mana Cup, the seniors that were present all charged down to the basketball court from their seats and did one last cheer together. 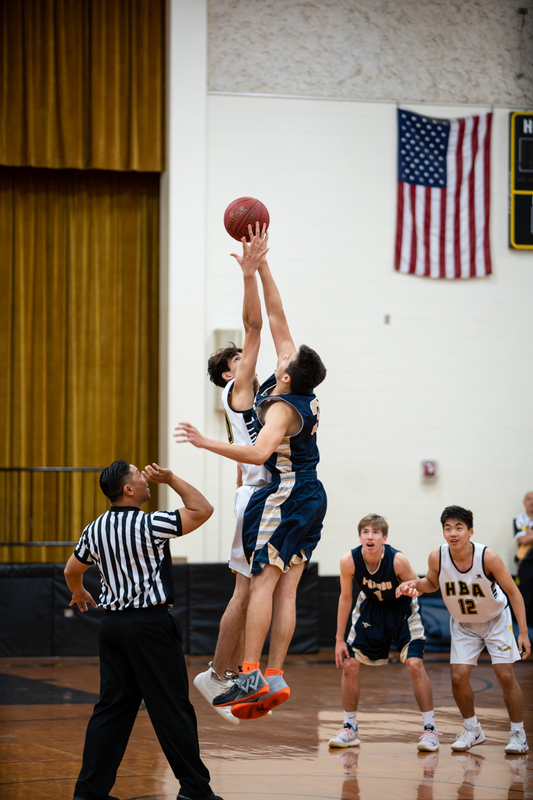 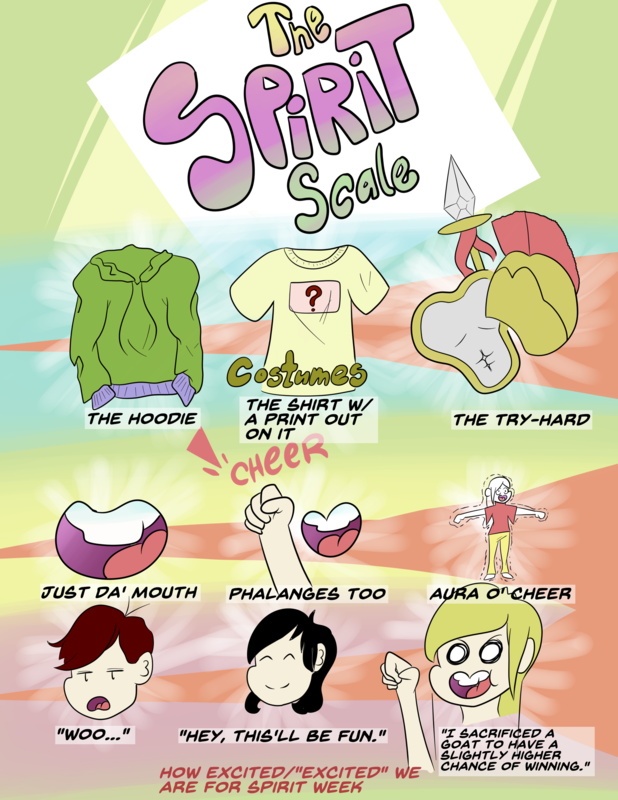 “Six points. 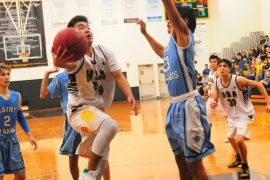 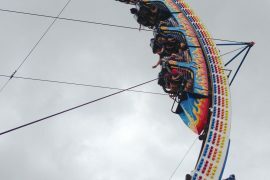 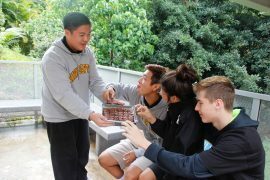 The juniors were only six points behind us,” senior Shawn Tamashiro said to his classmates when they all returned to their seats. 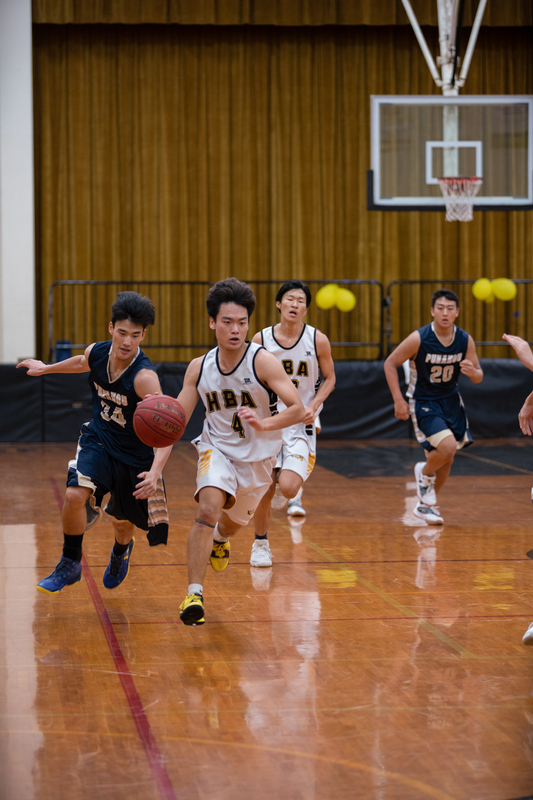 As the evening ended with the boys’ loss to Punahou, the seniors abruptly stood up from their seats. 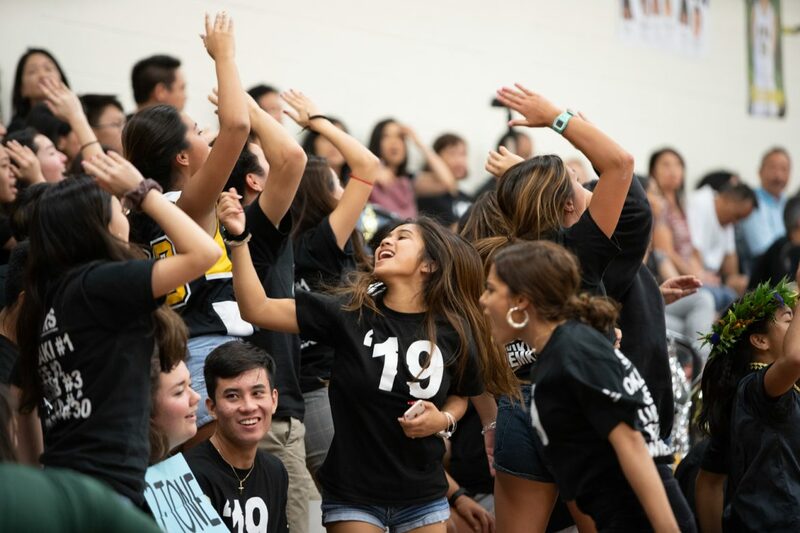 Lead by Julia Oliveira and Breeann Yap (the senior mascots for Spirit Week), the Class of 2019 began to sing the HBA alma mater in an unplanned show of school spirit. 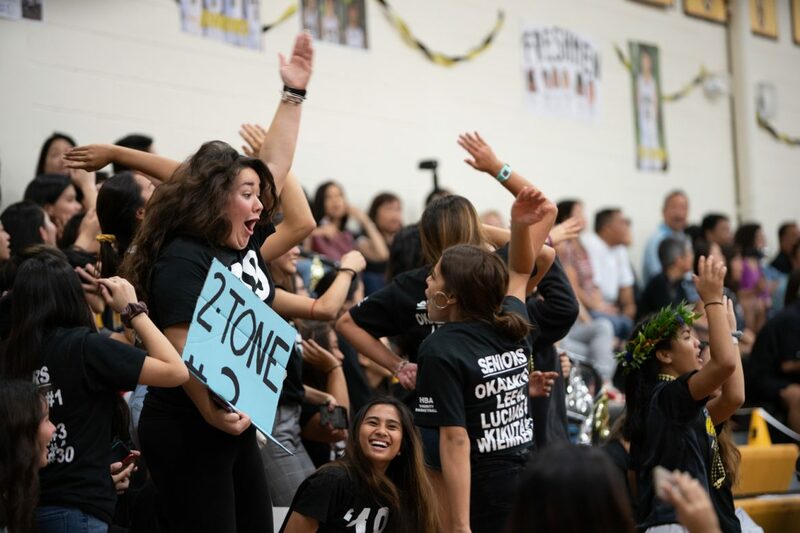 As the rest of the gym joined in, many faces beamed with pride, even if the scoreboard didn’t go their way. 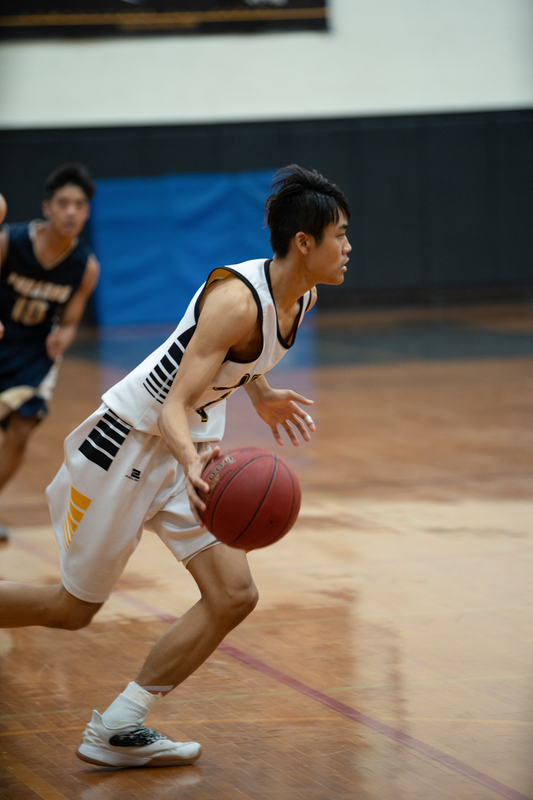 Photographs by Drew Yoshida (’19) and Jarin Ashimine (’20).